Is it true that Japanese Spider Crabs can grow to the same size as a human adult male? Are Penguins related to Puffins? What is a goldfish's memory like? 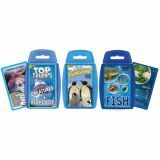 This “Marine Life” Top Trumps bundle provides an ocean full of fun facts and gameplay with our aquamarine friends! 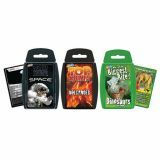 This “Unbelievable Universe” bundle of Top Trumps provides a wealth of fun and engaging gameplay around some of amazing aspects of our universe, from the prospect of “Dinosaurs” gracing the earth millions of years ago, to the mind-boggling prospect of what exists beyond our earth in “Space”, and then the idea of molten lava swirling around beneath our Earth's surface, ready to unleash through “Volcanoes”. Perfect for hours of fun and education about the world in which we live! 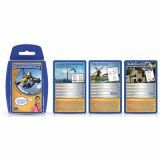 Find out how a 2000 year old Roman creation is more innovative than a digital age breakthrough and how something you use everyday was created just a few years ago with Top Trumps Incredible Inventions. 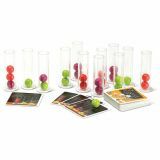 Featuring 30 cards of groundbreaking discoveries with amazing facts and stats - specifically created with STEM learning in mind. Ever wondered how math and science can lead you to understand some of the world's biggest and strangest questions? Can you catch a star? Can you control a forest fire? Let Top Trumps Peculiar Problems shed some light with 30 cards inspired by STEM learning! Science touches our lives every day - from the natural world to man-made creations. 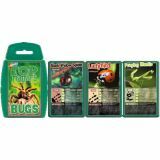 Find out how Mother Nature has influenced mankind and how our brains' understanding of the world creates wonderful breakthroughs with Top Trumps Sensational Science. 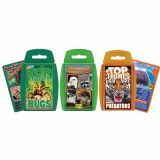 The game contains 30 cards specifically created with STEM learning in mind. Oceans. Pretty big, right? We're discovering new things in them all the time, from prehistoric fish to giant squid (trust us, they're out there somewhere). 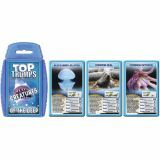 Now, Creatures of the Deep Top Trumps brings you some of the most weird and wonderful sights from the seven seas. Mooching manatees, perky penguins, creepy conger eels (not to be confused with their ever-funky cousins, the conga eels) – this pack has everything you would want to find in the deep blue sea, and several things you'd probably rather not come face to face with. And you won't even get your feet wet. Is it true that goldfish have virtually no memory? Could you survive a piranha attack? 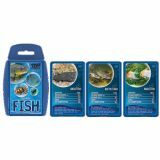 Play and discover all the fun facts about the freshwater inhabitants of our lakes and rivers with this new pack of Fish Top Trumps!